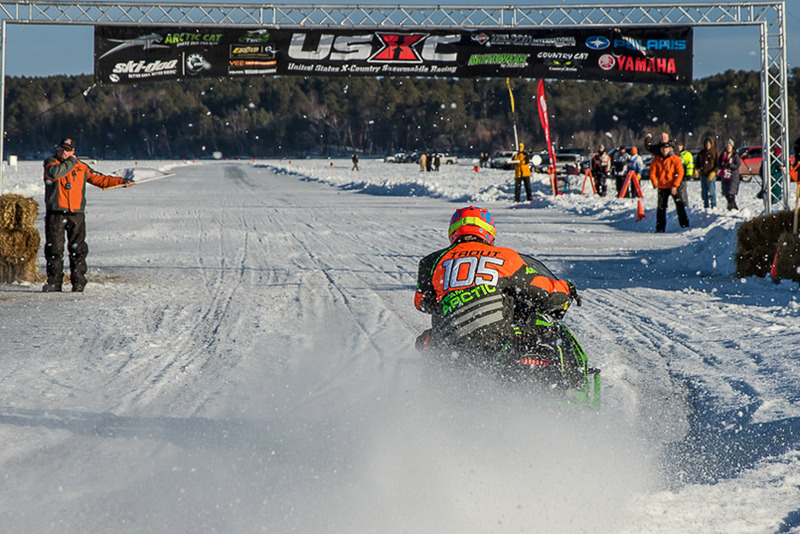 Fertile, MN (January 24, 2018) - After taking the first two events on the cross-country schedule by storm, Christian Brothers Racing riders traveled to Park Rapids to compete in the USXC Park Rapids Heartland 200. The Heartland 200 transitioned the team from the pure terrain of the last event in Manvel, North Dakota, back to an ice lemans format. 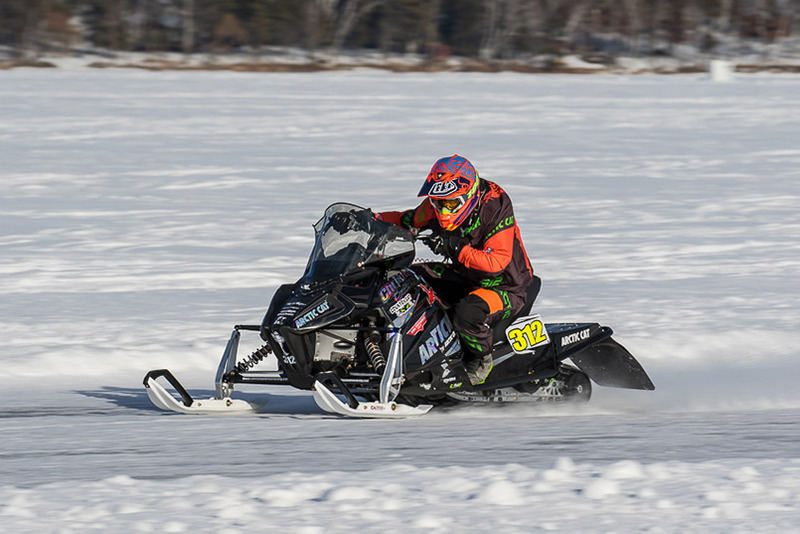 Held entirely on the surface of Fish Hook Lake, the event featured mild temperatures, a departure from the sub-zero weather the team had become used to dealing with. It also brought fog, which delayed racing before the Pro Stock 600 final on Sunday. 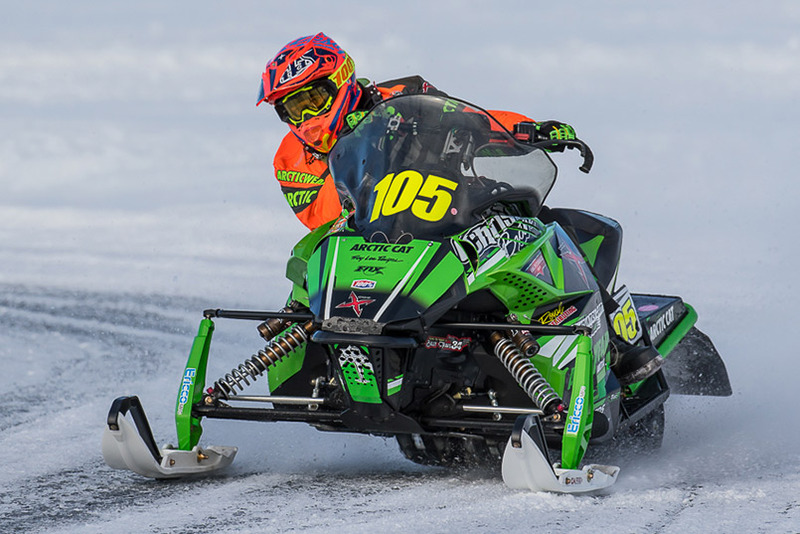 Zach Herfindahl (Arcticwear/Arctic Cat/doc) Was top qualifier for the Pro Open final on Saturday and was on his way to a class win before engine troubles ended his race. Sunday proved even more troublesome for the reigning Pro Stock 600 points champion, something unusual for the rider and his crew. 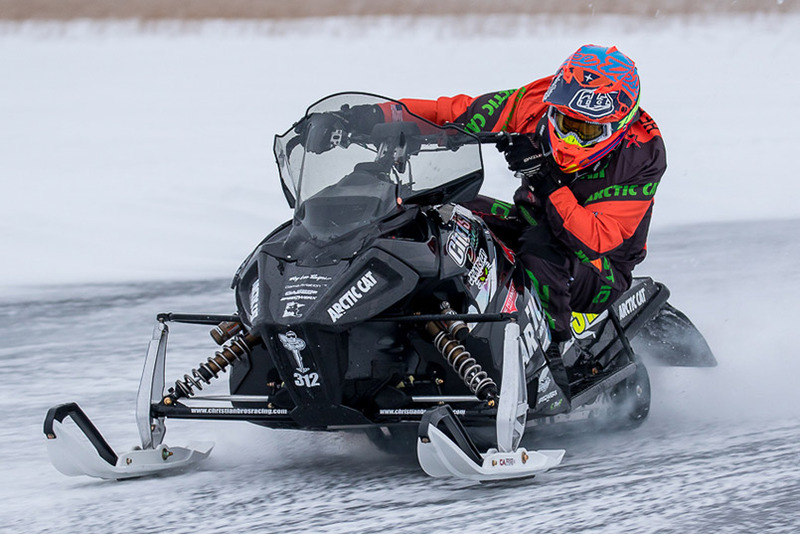 "Setup was key at Park Rapids, and we struggled getting the snowmobile dialed in," Herfindahl said. "We qualified on the front row and ran 4th and 5th most of the race, and I finished 4th. We just ran out of time looking for the right setup. But we learned, and we'll take what we learned into the future." Consistency was what Ryan Trout (Arctic Cat/AMG Peterbilt/Country Cat) was all about in Park Rapids. While Trout and his crew battled the same setup demons as Herfindahl, Trout was able to get something he was happy with. "We worked all day to get our setups right," said Trout. "I struggled in the qualifiers but the finals went good, I got a 5th in Pro Open and 6th in Pro Stock 600. It was a tough race, so overall we're happy with how it went and where we finished." Next up for Christian Brothers Racing cross-country riders is the Seven Clans TRF 250 in Thief River Falls, Minnesota, January 27-28. For more information about Christian Brothers Racing visit www.christianbrosracing.com. Follow Christian Brothers Racing on Facebook, Twitter, Instagram and YouTube.